When we hear the name Colt it brings to mind some of the finest quality American made hand guns ever built. Colt didn’t suffer from the same crash in market that Smith & Wesson did during the 1999 Agreement to drop lawsuits in favor of building guns in a manner that made anti-gunners happy. While Smith & Wesson’s company went form a worth of over 140 million to being sold to a Lock company in Arizona for only 12 million dollars less than a half a year after the news broke. 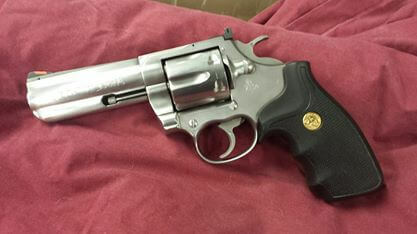 The Colt King Cobra was one of the last hand built revolvers from Colt. It was made from their highly desired Trooper MK V line with the name being thrown back to two previous runs over 20 year time span for their “snake” lines like the BOA and PYTHON. 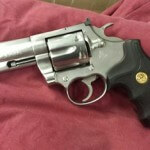 Its a Medium frame gun in 357 magnum and despite claims there are Blue versions of the guns you just won’t find them in the books and the common customer base assumes that blue would be worth less than stainless even though the production of blue was stated to be less than 100 units. 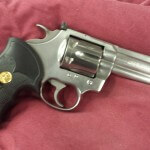 Colt leasing out their name for guns made in the Philippines has collectors looking around for Pre-1998 Colts once again and if your an avid gun show browser you know that seeing an older Colt for sale is usually surrounded by an elderly gentlemen needing to pay bills. Bluebooking a Colt is always a nightmare. Many are unaware of how BlueBook gets its values as they are submitted by collection experts. There is a little funny business on valuation of guns that are highly sought and even funnier business on the ones that are plentiful. For instance a Colt New Model is worth $1850 but the one with a Brazilian stamp is only worth a few hundred. There is no difference but the stamp and the real market will not pay even 1/4 th the price for a non imported gun. The gun we have for this article was loaned to us from a personal collection but as with all our guns we will review they are for sale. 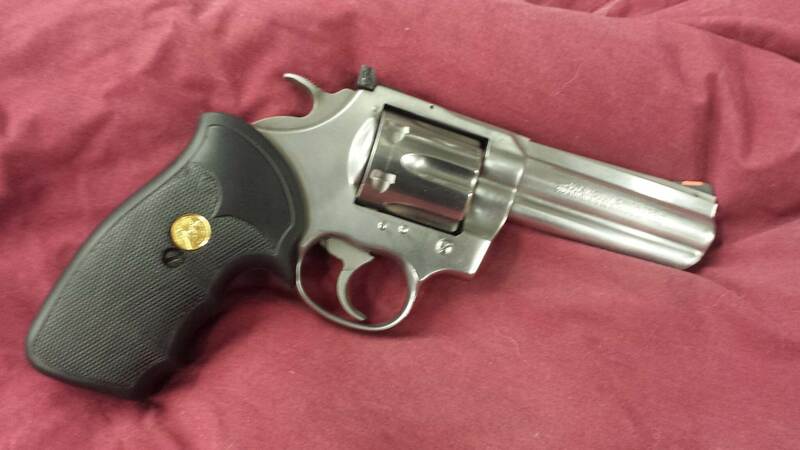 This gun falls into the investment grade category because its real world selling price is around $1600 with a few short sales from pawn dealers around $1300 for quick cash flips. Be sure to add yourself to our text notification list so you can be informed first of hard to find reintroducing themselves to the market.